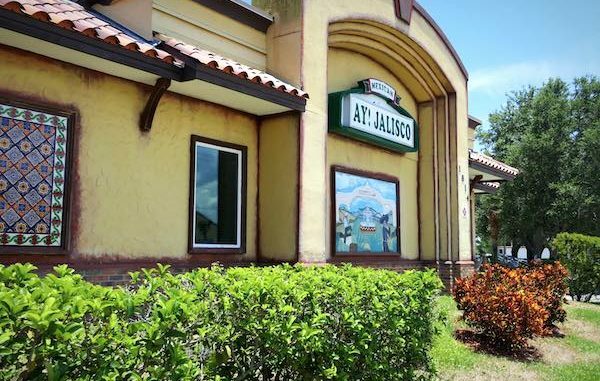 Mexican restaurant Ay Jalisco was shut down for health violations in Sebastian, Florida. SEBASTIAN – Ay Jalisco in Sebastian was temporarily shut down by the state health inspector amid eight health violations, according to the Florida Department of Health. Out of the eight violations, three were High Priority that shut down the restaurant. “Roach activity present as evidenced by live roaches found. 2 crawling on the kitchen floor, 1 on the floor under 3 bin sink, manager killed all 3,” the health inspector said in the report. Sebastian Daily visited Ay Jalisco Thursday afternoon, located at 1814 U.S. Highway 1, where an orange sign was posted on the doors informing the public of the temporary closure until all violations are corrected. Restaurant employees were busy cleaning, including kitchen equipment that was brought outside to be pressure washed. Ay Jalisco in Sebastian, which serves Mexican cuisine, faced scrutiny after a woman alleged to have a roach in her food. “When I got home and opened it there was a bug right in plain sight. I called them and talked to management and let them know about what happened, still paid for the meal,” Courtney Beck told Sebastian Daily. “I didn’t return for a while and wasn’t planning to until August 3rd (Friday night) when me and my boyfriend were invited to a double date with our friends. I hoped for the best that management took care of the problem but of course, my luck, there’s a roach again right in the chicken of the enchilada,” Beck said. Beck and her friends got the waiter immediately and showed him the insect in the food. “He was very respectful and no complaints towards the staff at all, they told us not to worry about anything and that they were very sorry,” said Beck. When Monday came, Beck filed a report with the Florida health department and was contacted by an inspector to verify her information and complaint. Beck said the inspector never saw the photos she took of the roaches in her food. “Later in the day, she called me back saying she found alive and dead roaches in the kitchen and that the restaurant will be temporarily closed down until they can get rid of all the roaches. 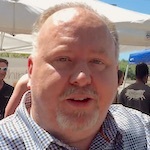 Which was all I wanted, to begin with, was for them to get the problem fixed because it’s a very a popular restaurant and I didn’t want anyone else to experience that,” said Beck. Last weekend, Ay Jalisco did shut down for a few hours for cleaning and to fix the problem. However, on Thursday, the health inspector ordered a full shut down after seeing three roaches crawling on the kitchen floor, according to the health inspector’s report. Sebastian Daily reached out to Ay Jalisco’s but have not received a response. Update: Ay Jalisco is expected to reopen today (Friday, August 10th) at 2 p.m. following a full cleaning and health department inspection.